Long considered a lifestyle disorder, Obesity is increasingly becoming a health concern for India, one that predisposes patients to many life threatening disorders. While it requires surgical intervention for morbid cases, Obesity and its health implications are largely misunderstood. As an association of bariatric surgeons in India, OSSI aims to create & disseminate information on Obesity to educate & help not only the morbidly obese but also readers who may wish to learn more about this medical condition. Our blog aims to facilitate knowledge & experience sharing on surgical treatments, new techniques and research for the advancement of bariatric treatments in India, with each article thoughtfully contributed. Effective food policies are needed to prevent obesity. Rising obesity rates are a global issue, but often the focus is on the serious health issues that come with being dangerously overweight. Studies have demonstrated that BMI increase is associated with higher miscarriage rate and lower mature oocyte yield. We live in an “obesogenic” environment that promotes a sedentary lifestyle, weight gain, high caloric intake, increased BMI and fat mass. 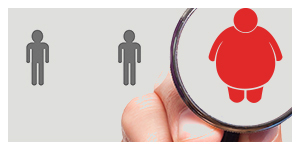 The most common obesity-related complications that come in mind are diabetes, heart disease and hypertension. However, there is also a strong association between obesity and infertility. Polycystic Ovarian Syndrome (PCOS), a common cause of anovulation, represents an important link between obesity and infertility. Massive obesity was well-known in ancient India, particularly abdominal obesity, seen in depiction of images of gods and mighty bodies of demons. It was not until recently, it was seen as a problem, in fact as the myth of “Obesity as sign of Prosperity” was well rehearsed in the Indian psyche.